Appold's Centrifugal Pump was held up as an "excellent example of the modern religion of mechanics - making a small machine do a great amount of work by moving it at great speed". 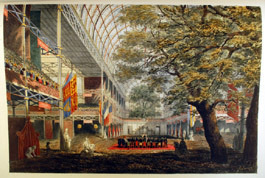 The Great Exhibition ended on the 15th October 1851. During the 5 months it was open it was visited by some 6,039,195 visitors. The largest attendance recorded on a single day saw 109,915 people visiting. 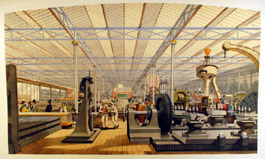 Or, return to Exhibitions home page.